Custom Embroidery Digitizing with quick turn-around & low fees. Stock designs are also available through the "Store" link above. ​through Pay Pal OR Square pay. Designs are MANUALLY digitized,turn around times for custom orders are usually same day and fees are well below competitor's prices, usually $5-$20, depending on complexity. 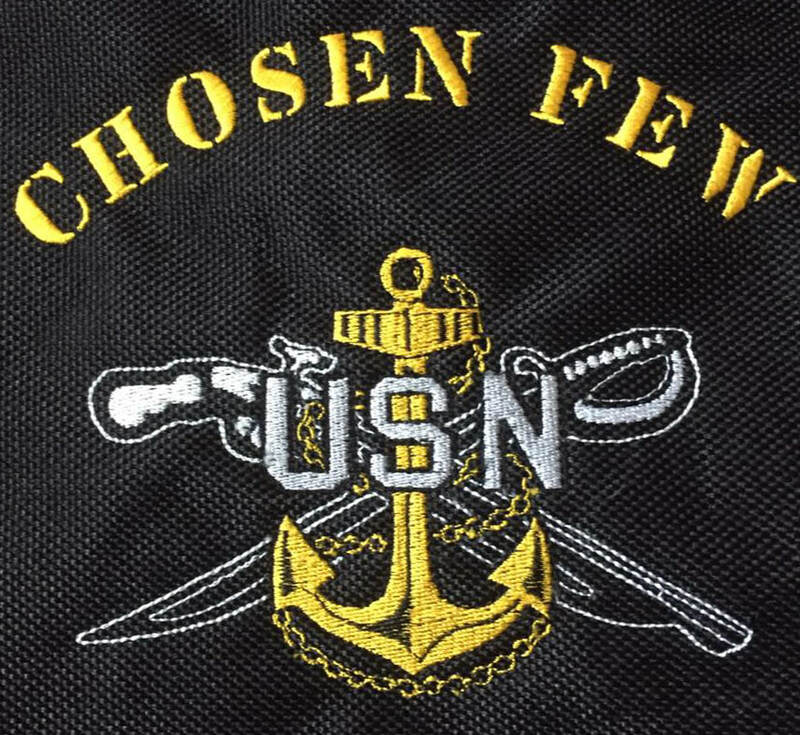 ​I am a retired Navy Chief Petty Officer with over 20 years of distinguished active service and six deployments. Although injuries incurred while on my last deployment sidelined my career, I continue to move forward with a positive, professional attitude. I've been digitizing for a little over 7 years now and continue to learn. I love what I do and I hope it shows, in my designs and in the customer interactions. I think of it as a partnership when you purchase one of my designs and if something is not quite right, please let me know. I understand each machine can be different. I hope you enjoy the products I create as much as I enjoy designing them. Feel free to ask any questions and let me know of any custom design you might be interested in. Thank you again for visiting my store. ​for they alone protect the tribe." PLEASE, DO NOT share, trade, copy, or sell our design formats. You are welcome to stitch these designs for personal use. If selling, be sure to have the required vendors licensing. ​As on any digital download, there are no refunds. ***No part of this website, including display images, descriptions & directions may be used without written permission by ChiefsThreads, LLC.